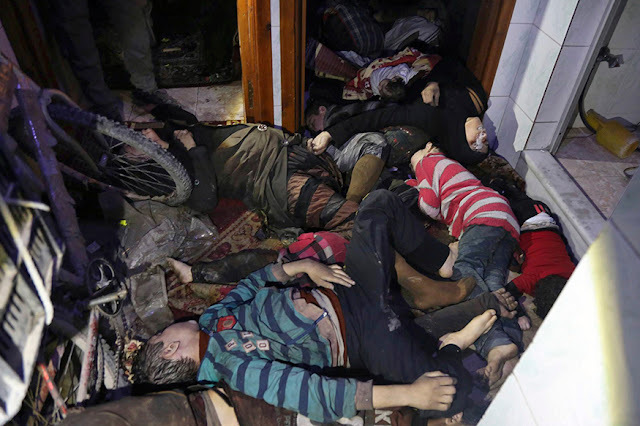 VietPress USA (April 11, 2018): Last Saturday, 4/07/2018, Syrian President Bashar al-Assad used chemical weapon to kill dozens of Syrian civilians in Douma of central Syria where controlled by rebel anti-dictator al-Assad forces. At least 40 children and women killed and hundreds were injured by Sarin gas. On Sunday, April 8th, 2018, President Trump accused Russian president Putin, Russia and Iran government for supporting "animal al-Assad" in using chemical weapons again in Syria. After Trump's accusation, report said that the T-41 air base in Homs, Syria got missiles striking. Syria claimed U.S. fired missiles, but the Pentagon denied this. On Tuesday, 4/10/2018, Russia blocked GPS system on some US small drones to stop air strike over Syria. 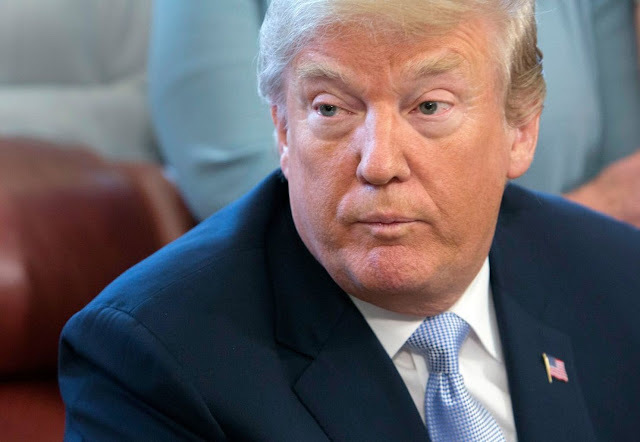 But today on Wednesday 4/11/2018, President Donald Trump official warns Russia that he will direct an air strike at Syria in response to last week’s chemical attack and chastising the Kremlin for its support of Syrian President Bashar Assad. 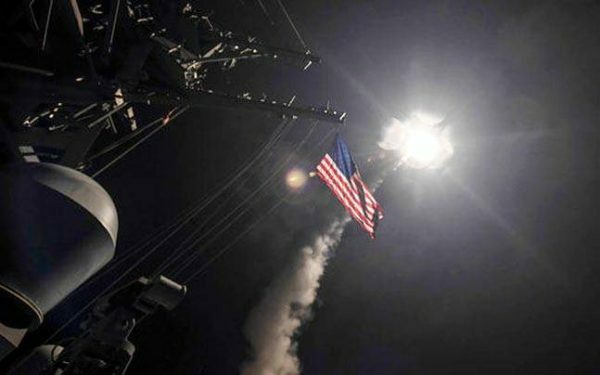 Last time, on Thursday 4/06/2017, President Trump ordered to launch attack on Syria with 59 Tomahawk missiles. The missiles targeted the Shayrat air base near Homs, and were in response to a Tuesday 4/04/2017 chemical weapons attack. Officially announcing the strike, President Donald Trump said the targeted airfield had launched the chemical attack on a rebel-held area, and he called on other nations to oppose Syria's embattled leader. The Tomahawk Land Attack Missiles (TLAM) used by the United States to attack a Syrian airfield are all-weather, long range, subsonic cruise missiles. They are used primarily for land attack warfare and launched from ships as well as submarines. Depending on the variant their range could be between 1500 km and 2500 km. The Tomahawk missiles can carry both nuclear and conventional payloads. For instance, the conventional, land-attack, variant can have a 1,000-pound-class warhead while the submunitions dispenser variant could hold 166 combined-effects bomblets. Designed to fly at very low altitudes at subsonic speeds, these missiles use mission tailored guidance systems to evade detection. Deployed first for the 1991 Operation Desert Storm, the missile has been used in several conflicts since. In 1995, UK became the first foreign country to acquire 65 of these missiles. Built by Raytheon Systems Company the Tomahawk missiles have been in existence since 1984, with variants in 1994 and 2004. Each unit costs nearly $569,000 and propelled by Williams International F107 cruise turbo-fan engine. They are between 5.56 and 6.25 meters long with a 51.81 cm diameter and 2.67 meters wingspan. They weigh between 1,315.44 kg and 1,587.6 kg depending on the payload. The missiles can hit speeds of up to 880 km/h and have a maximum range of 2500 km. The Tomahawk Block IV (TLAM-E), the latest version of the missile, comes with “increased flexibility utilising two-way satellite communications to reprogram the missile in-flight”, option to change mission en route and live missile health and status messages during the flight. They also offer faster launch timelines, mission planning capability on the launch platform as well as the ability to loiter in the target area before striking.